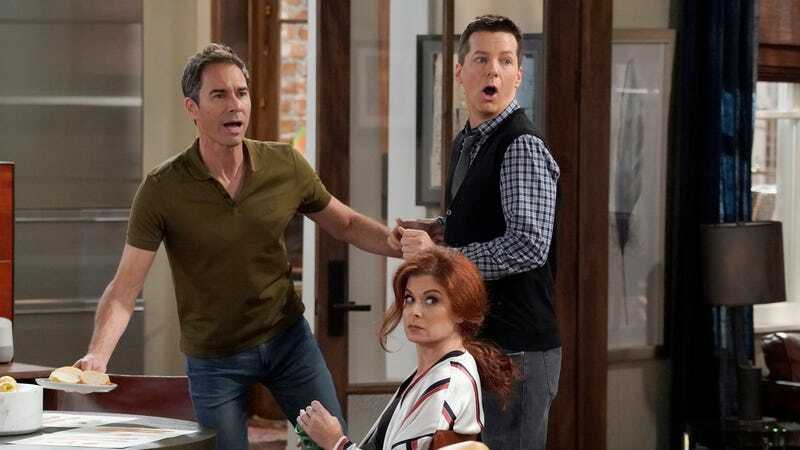 In other Will & Grace news, a separate Variety report says that producer David Kohan “would love to do a story about citizen Trump,” suggesting that the show could cover that whenever “we get to that point” in reality—even though it seems like a number of things have to happen before that. In a similar vein, Mullally says that the show’s goal is to “be entertaining first,” but she’d like it if the show were to “address race” more than it does currently. Since it looks like the show will be sticking around for a while on NBC, it should have plenty of time to touch on both of those topics.